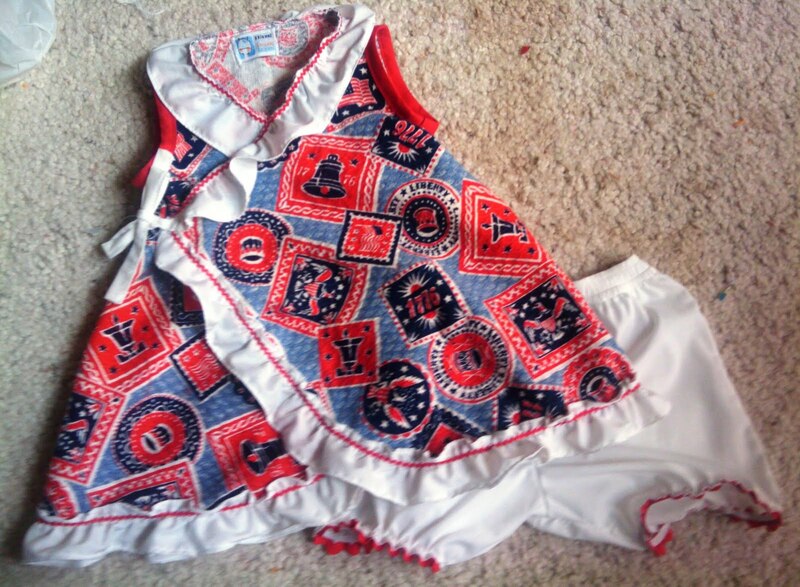 macaroni & cheese: Family Dollar Day, and some recent sewing! Family Dollar Day, and some recent sewing! A lot of my friends are into shopping at the Dollar Tree, but it's not very close to me, so I only go there occasionally. However, Family Dollar is right on the way between Aldi and Newflower, so it's perfectly convenient. There may be another Dollar Tree closer, but I'm still a stranger in these parts. These are nothing spectacular, but it's what I got today. 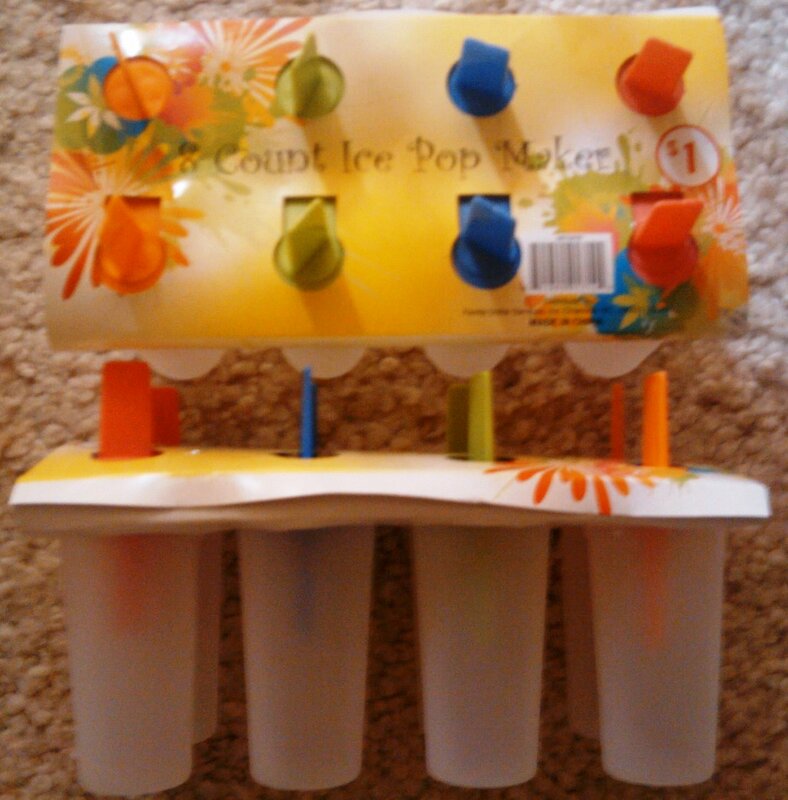 A couple of 8-packs of ice-pop molds for $1 each. I have a recipe for yogurt pops that I'm going to try in these. It's a rather lame recipe actually, as it's my kid yogurt recipe. These I'm sort of excited about. 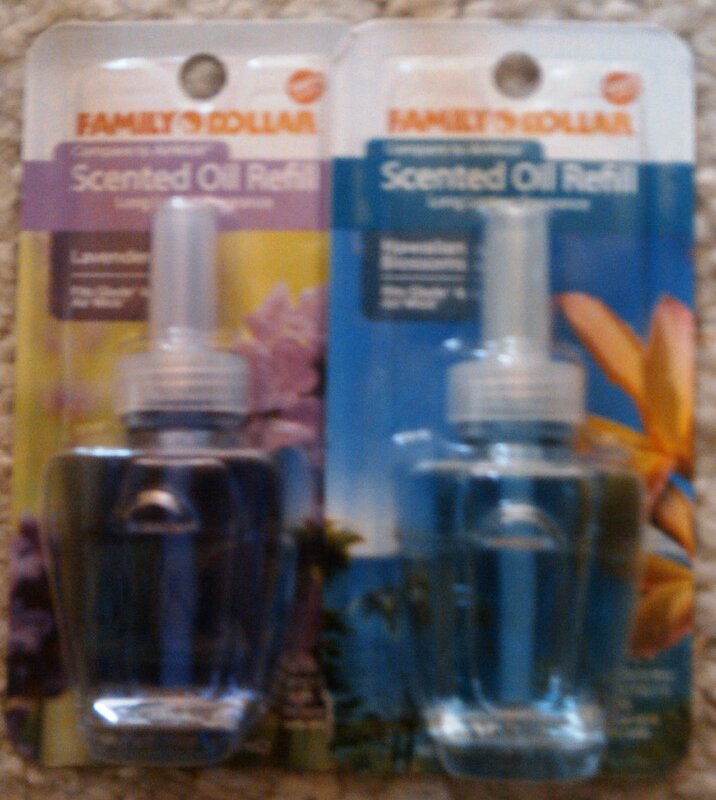 I have an air freshener that requires these little scented oil dispensers. The name brand (and much smaller) ones at wal-mart are about $5. The same size Aldi brand ones are $2. These are also $2 but are twice the size! There aren't as many scents to choose from, so if you have to have double-dipped chocolate sunrise linen breeze, you're stuck paying $5 for the name brand at wal-mart. But if you like lavender, Hawaiian blossom, or cinnamon, you're all set! Family Dollar is already cheap, that's been established. Last week I bought the boys some sets of toy tools for $2 each, on clearance! This week I picked up some play foam with accessories. Perfect to reserve for those "oh my gosh these kids are driving me freaking nuts" days. Also $2 and we got the Crazy Face and Animals sets. Their brand of disposable training pants. 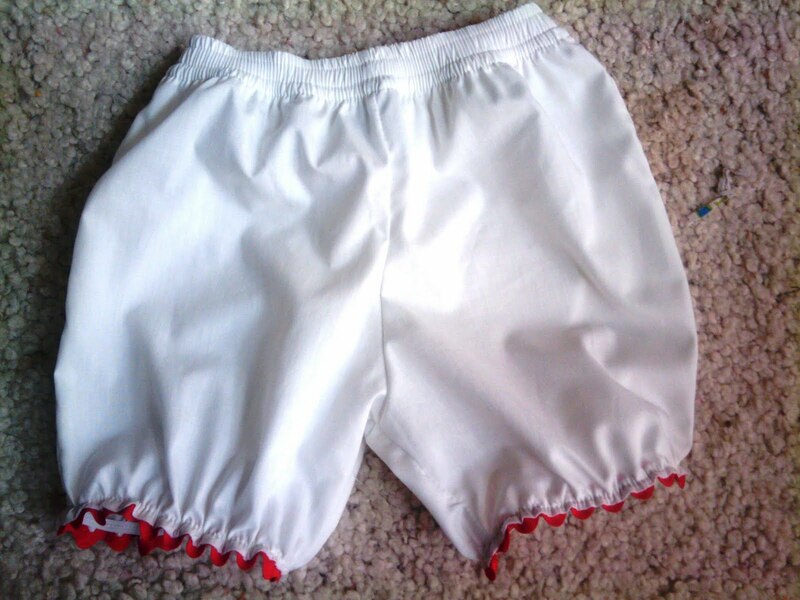 William has to have these for nap time at school, and for the nursery at the gym. 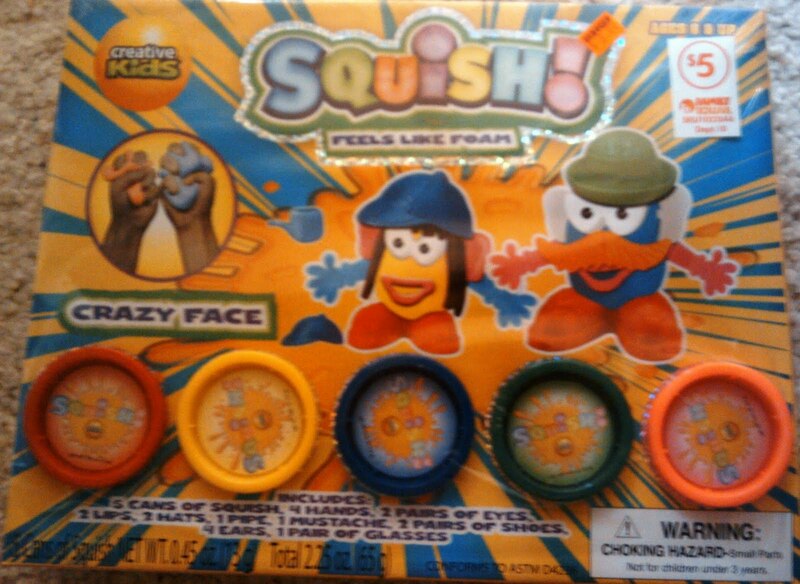 These are $8, and have Dragon Tales characters on them. I couldn't care less about the characters, but the price is good. They WERE $6 for a while, but now they're $8. 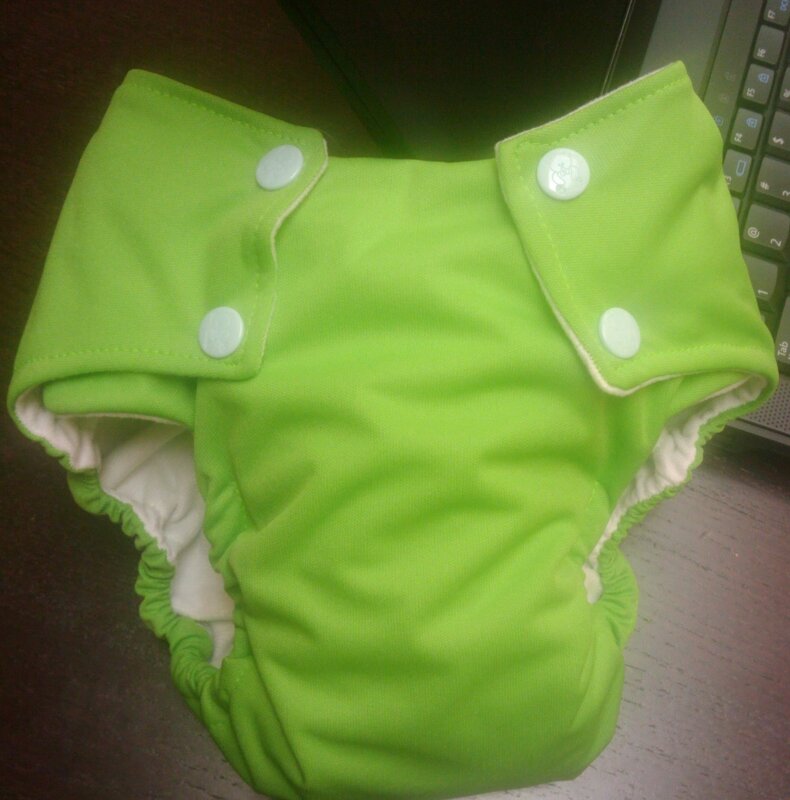 My spiel about the disposable diaper racket: They all work the same. Over the last few months I have done a ton of traveling and just picked up the cheapest disposable diapers where ever I could find them. 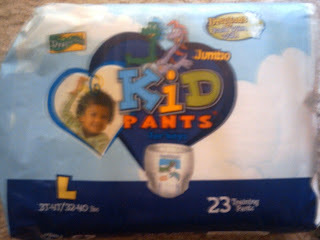 Most of the time the were store brand/generic, and sometimes name brands like Huggies, Luvs or Pampers. I've also used the premium "green" brands like Seventh Generation and Tushies. All of the diapers were identical in performance. 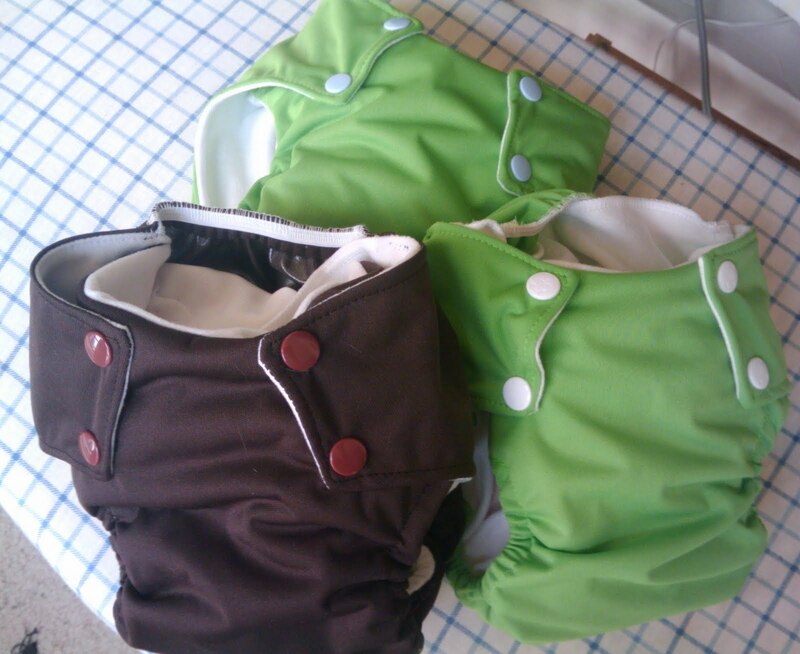 I won't use the Seventh Generation diapers because both boys are allergic to the elastic, but as far as containing poop or pee, they all worked exactly the same way. I had no more leaks or disgusting messy poos with one brand than with another. I can't imagine paying more than the cheapest price possible for something you're going to throw in the trash (baring allergy or chemical sensitivity, or moral issues regarding production, etc). Since I use cloth diapers, I am not happy with the performance of any of the brands for overnight use. 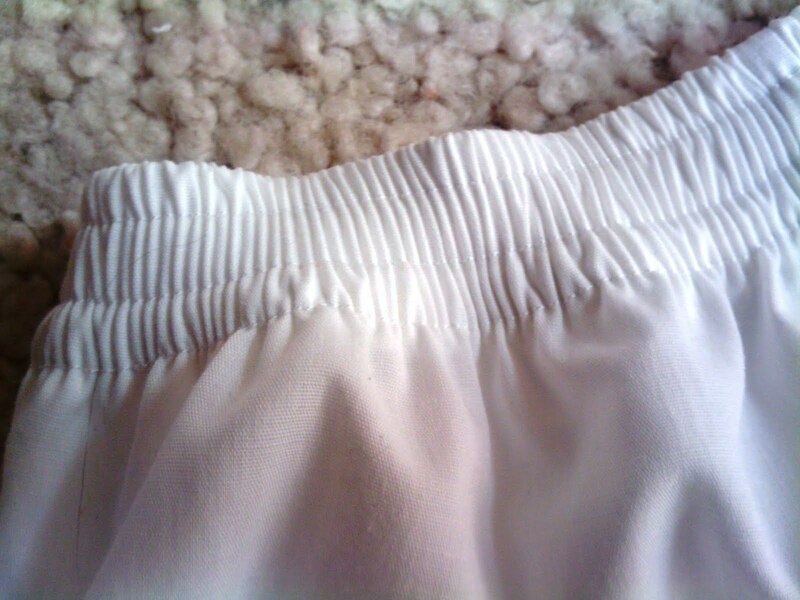 For cloth, you can add in an extra layer. With disposables, what you get is what you get. I'm very happy with the disposables we buy (for Aldous) from Aldi, and would buy the disposable training pants there, too, if they sold them. this is the dress I made Audrey for Independence Day. 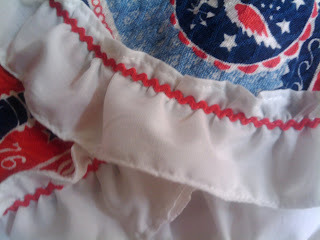 I used some vintage fabrics I had gotten from Bonnie, and some vintage trim from another source. A close-up of the ruffle with rick rack trim. This was the tiniest rick rack ever. The bloomers! I loosly elasticized the legs. 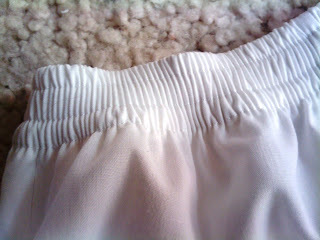 The waist elastic. I remember back when I used to just run elastic thru a casing...silly me! 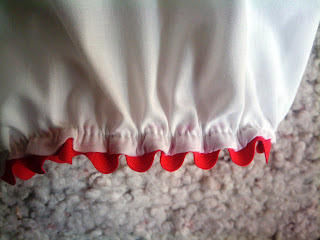 Bloomers hem trim...more rick rack! Bigger here, tho! This is the pattern I used. I can't really review it, tho, because I didn't follow the directions. I just used the pieces. I used the largest size (lg 22-25lbs) which I would guess is closer to a 2T as this was just a bit big on Audrey. William still wears diapers at night, and was down to only two large enough to fit him, so I whipped up a couple more for him. I hope to do about 2 more so I don't have to do laundry so often. He rarely wets in it, but I don't reuse it again without washing. More diapers. The two in the front are for Aldous, who barely fits in his old diapers, and the one in the back is another for William. 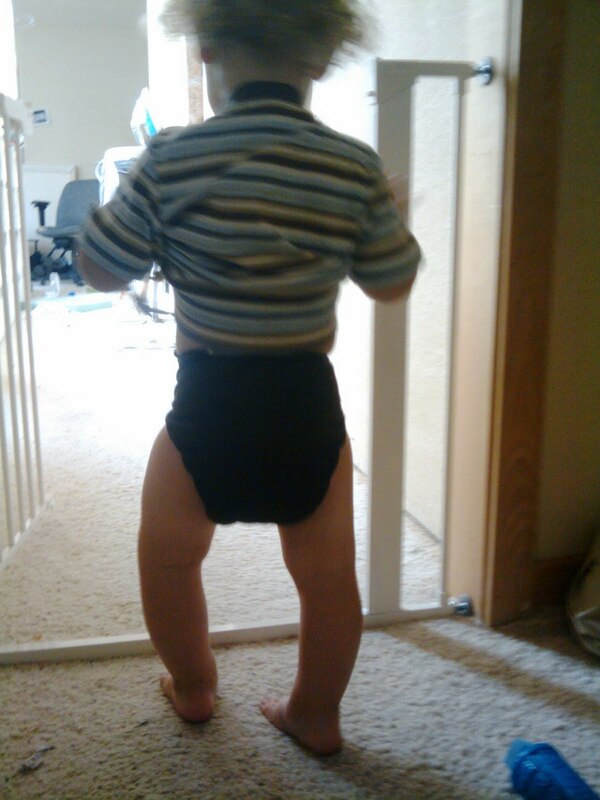 Aldous in the brown diaper. Aldous with a back view of the diaper. Silly me... I still only run the elastic through a casing. haha! I serge mine on, then turn it under, sew along the edge w/ the ditch or blind hem foot, then do the remaining stitching lines w/ the regular foot. You DO have to stretch as you sew, tho. It takes me as long to do it that way as it was for my to sew the casing, thread the elastic thru, sew the ends of the elastic, then sew the casing shut. I HATED how the casing looked before, and over time had problems w/ it twisting or not lying flat. That's a shame that W's school and nursery don't allow cloth diapers. Fortunately for us, ours allowed it, we just needed to provide the wet bag.